FOOD AND DRINK is the theme this Wednesday night Jan 22, 2014 tune into Vinyl 2 Cassette where you will hear classic hit songs. 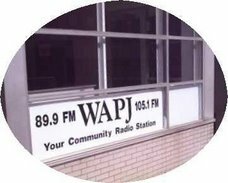 Bring your appetite to WAPJ TORRINGTON. 9PM - 11PM ET. In and around Torrington tune into 89.9fm or 105.1fm. Anywhere else on the planet you can STREAM FROM HERE. 12- Your Kingdom Come / Ben Okafor & Garth Hewitt / Blood Brothers / What? 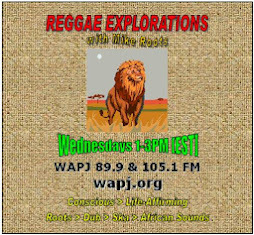 16- Family Plan / Ras Shorty I & The Love Circle / Jamoo Victory / Jamoo Goodnews Ltd.
18- Aslan / The Israelites / Roots / JumpUp !